1. 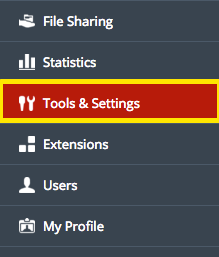 Log in to the Plesk panel and choose Tools & Settings. 2. 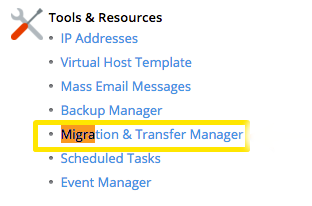 Under the Tools & Resources section, select on Migration & Transfer Manager. 4. 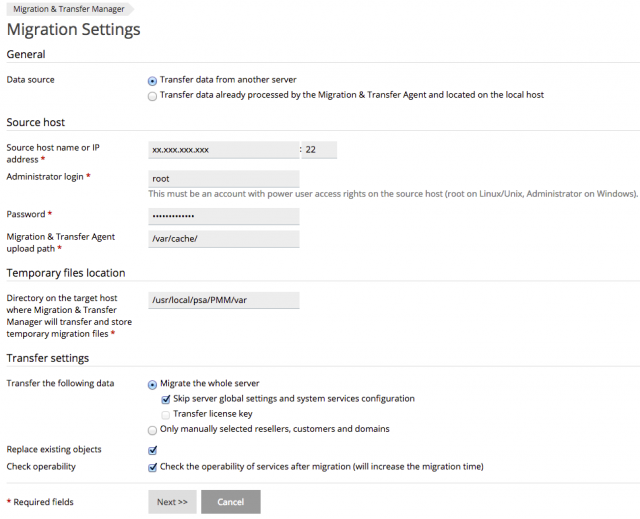 Fill in the information requested for your old server (from which you wish to migrate) and enter your migration preferences. Then, click Next. - Data source: Transfer data from another server. - Source host name or IP address: This should be the IP address for your old server, or a domain that resolves to your old server. - Password: The root password for your old server. - Temporary Files Location: Leave as default. - Transfer the following data: You can transfer everything, or only selected data. 5. 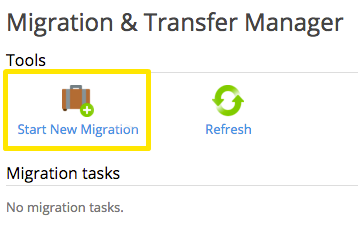 You will now see the progress bar for the migration process and will be able to monitor the process until it completes (make sure that you don't restart the server or kill the process in any other way).